Iran Suicide Bombing: Is the U.S. Still Funding Jundallah? President Obama is denouncing a suicide attack by the Sunni terrorists Jundallah that killed 39 in Iran, but is his administration still backing the group? Reza Aslan on how the bombing might bring the two countries together. A Sunni terrorist organization that may have ties to the U.S. government is claiming responsibility for a coordinated suicide bombing attack Wednesday at a Shiite mosque in the southeastern Iranian city of Chahbahar. Thirty-nine people, including women and children gathered to celebrate the holy day of Ashura, were killed and nearly 100 more were wounded. The group, which calls itself Jundullah, or Soldiers of God, has been responsible for half a dozen suicide bombings—a rare occurrence in Iran—that have resulted in the deaths of more than 100 Iranians. Founded in 2003 by Abdolmalek Rigi, a Sunni militant who reportedly trained with the Taliban in Pakistan, Jundullah is based in the Sistan-Balochistan region of southeastern Iran. Its members are primarily ethnic Baluchis: Sunni Muslims in a country that by some estimates is more than 90 percent Shiite. Jundullah first came to international prominence in 2005, when it attempted to assassinate then newly elected President Mahmoud Ahmadinejad. Over the next three years the organization managed between three and six major attacks a year, generally targeted at Iran’s Revolutionary Guard members. In one particularly gruesome act in 2008, Jundullah militants kidnapped 13 Iranians, smuggled them into their bases in Pakistan, and videotaped their execution. Such attacks have appeared to be well-planned, well-funded, and highly coordinated, which has led many to ask who exactly is supporting Jundallah. The Iranians, of course, have their answer. “Past experience has proven that the U.S. and U.K. intelligence services are behind crimes such as [the suicide bombing] in Chahbahar,” said Alaeddin Boroujerdi, the head of Iran’s National Security and Foreign Policy Commission. Obama could go one step further and publicly recognize that extremist groups like Jundullah are a common enemy to both Iran and America. It would be easy to dismiss these statements as the usual paranoid nonsense one so often hears from a government eager to blame America for all its troubles. This time, however, the Iranians may have a point. In 2007, ABC News cited U.S. and Pakistani intelligence sources as saying American officials had been secretly advising and encouraging Jundullah militants to carry out attacks against targets inside Iran. The following year, in 2008, Seymour Hersh’s shocking New Yorker investigation revealed that the Bush administration had been funding covert operations inside Iran designed to destabilize the country’s leadership since 2005. According to Hersh, these covert activities included support for Baluchi groups such as Jundullah. That same year, Pakistan's former army chief, General Mirza Aslam Baig, claimed to have firsthand knowledge that the United States was providing training facilities to Jundullah militants in Pakistan and southeastern Iran, specifically to sow unrest between the two neighboring countries. Nevertheless, there is enough evidence to suggest that, at least under the Bush administration, there was a firm link between the United States and Jundullah, an organization that the U.S. placed on the terror watch list only this year, after Rigi’s forced confession. Whether that link remains under the current administration is anyone’s guess. “The murder of innocent civilians in their place of worship during Ashura is a despicable offense,” he said, “and those who carried it out must be held accountable. That’s a good start. But the president could go one step further and publicly recognize that extremist groups like Jundullah are a common enemy to both Iran and America—assuming, of course, that the U.S. is not still funding the group. Indeed, this latest attack on innocent Iranian worshippers could provide an opportunity for American officials to begin coordinating with Iran in combating Jundallah and similar Sunni extremist groups who have found shelter in southeastern Iran and in Pakistan. Sound crazy? Perhaps, though similar coordination between U.S. and Iranian intelligence officials took place in 2001, during the invasion of Afghanistan, leading to a (very brief) warming of ties between the two countries. Who knows? Maybe this kind of cooperation against a shared enemy is exactly what we need to realign the fraught relationship between the U.S. and Iran. The alternative is that Jundullah continues its inhuman assault against the Iranian public, the Iranian government continues to blame U.S. for those attacks, and the Iranian people, who tend to dismiss everything their government tells them, start actually to believe it. 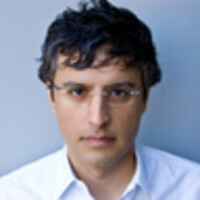 Reza Aslan is author of the international bestseller No god but God and Beyond Fundamentalism. His new book Tablet and Pen: Literary Landscapes from the Modern Middle East comes out in Nov. Follow him on Twitter and Facebook.